High quality exterior products at affordable pricing is available exclusively at Universal Windows Direct. UWD offers superior replacement windows, vinyl siding, and entry doors to homeowners throughout St Charles, Missouri. These products are proven to save energy, increase the security of the home, and enhance indoor comfort 365 days per year. UniShield® window replacement enhances home comfort with quality products and energy efficient glass packages. 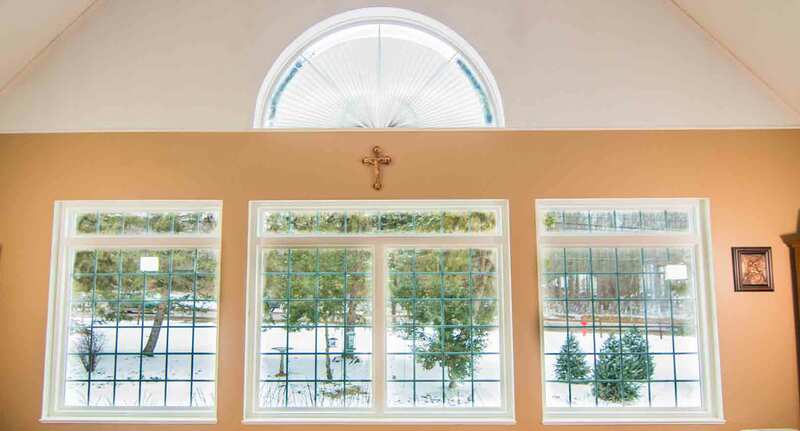 This window is comfort you can feel through every season with installation creating an airtight seal to reduce drafts. With advanced energy-saving technologies such as argon and krypton gas, low-e glazing, and triple pane glass, homeowners can feel the difference with UniShield® windows. 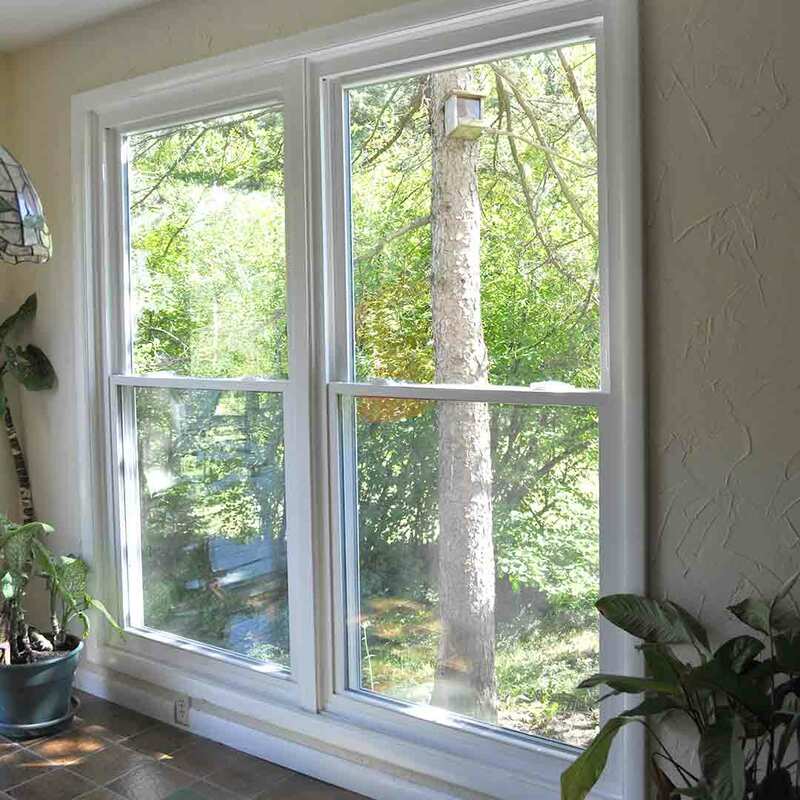 UWD’s exclusive UniShield® home windows offer tremendous value with advanced energy-saving technologies. With four glass package options available, homeowners can select the best window at the right price. UniShield® Plus stands as the most popular window due to its energy savings, beauty, and affordability. It’s engineered with dual pane glass with argon gas in the airspace along with low-e application to reduce heat transfer. Quality vinyl frames ensure the window will not rot, peel, or warp. Vinyl is an affordable and attractive alternative to wood that does not require sanding, staining, or painting. Enjoy years of exceptional craftsmanship with vinyl window installation. UniShield® is available in a variety of styles, including contemporary and traditional. 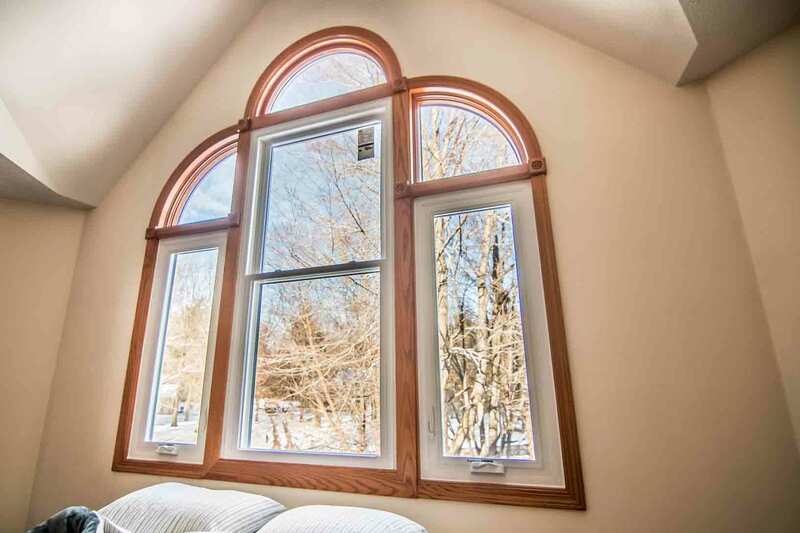 Choose from styles ranging from bay and bow windows, double hung, garden, slider, and casement. Geometric shapes are also available in options such as oval or trapezoid. 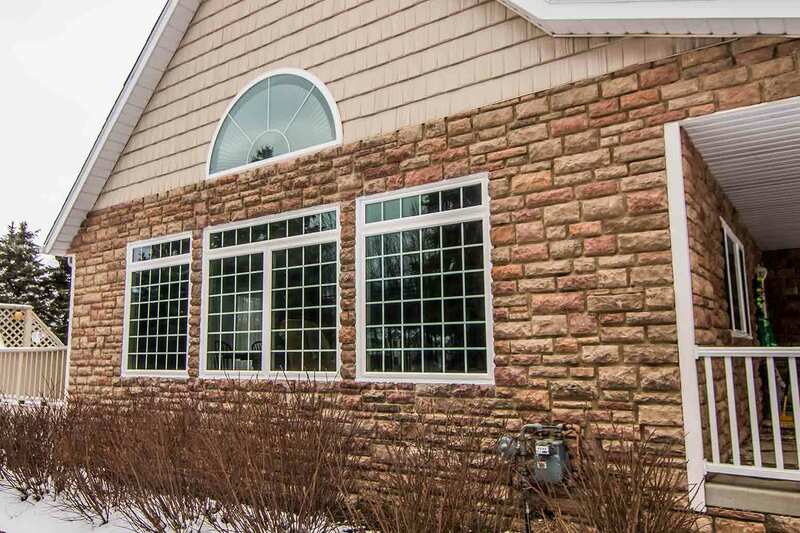 Upgrade curb appeal with decorative glass and grids for windows. Decorative glass options add elegance to the home in options including floral, elongated floral, and prairie. Grids in styles such as diamond add a classic touch to any curb appeal. UniShield® window installation includes protection under our True Lifetime Warranty. Have peace of mind with coverage on window performance, craftsmanship, and more. 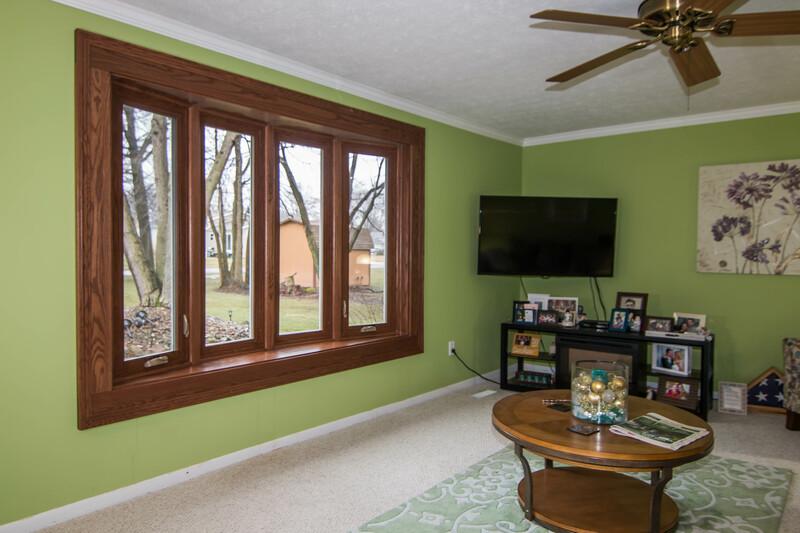 "All I can say is the windows are awesome, the house is much quieter than it..."
"Great product, great install team. Daryl & Nate are the best. Would and have..."
Entry doors are custom made for every home from UWD. 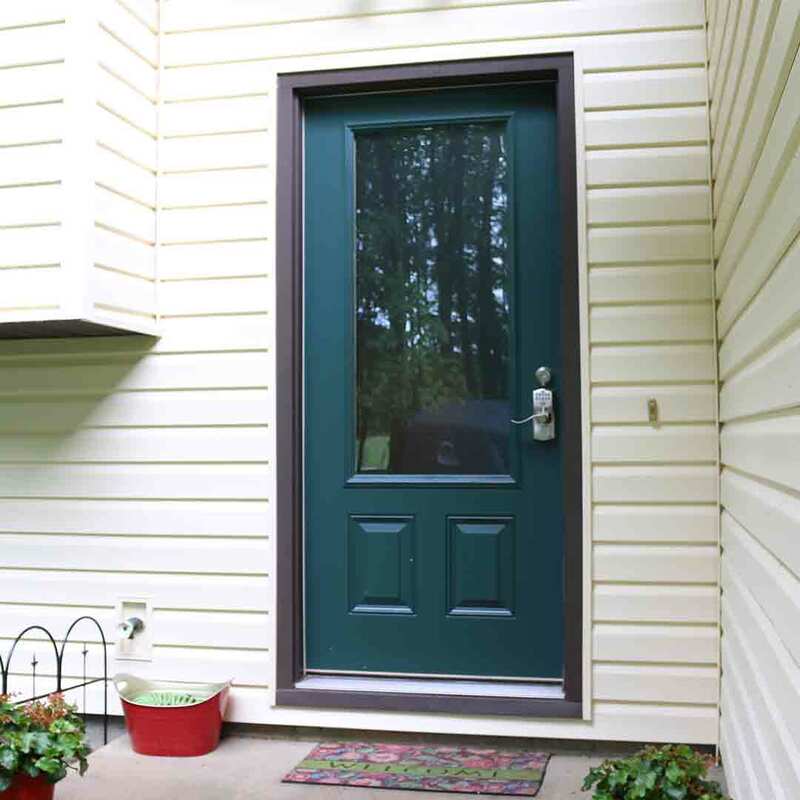 These top-quality doors stand the test of time with materials including fiberglass and steel. Fiberglass is the popular pick for door materials due to its durability, aesthetic flexibility, and timeless style. Fiberglass is designed to give the appearance of a real wood door. This material requires very little maintenance and does not need sanding, staining, or painting. It’s available in numerous colors and wood stains, with the option to order the entry door primed and apply your favorite paint or stain at home. Steel doors are also aesthetically flexible. Both doors are highly secure with steel door frames enduring 7 hits of a 100-pound test weight. 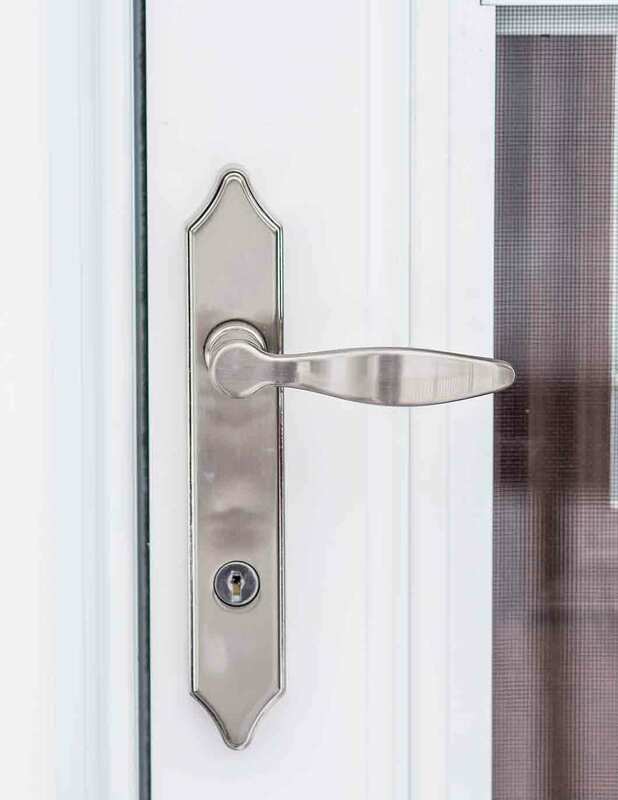 Custom hardware further enhances the security of the door with various styles including leversets, handlesets, locksets, and deadbolts in standard, touchscreen, and keypad. 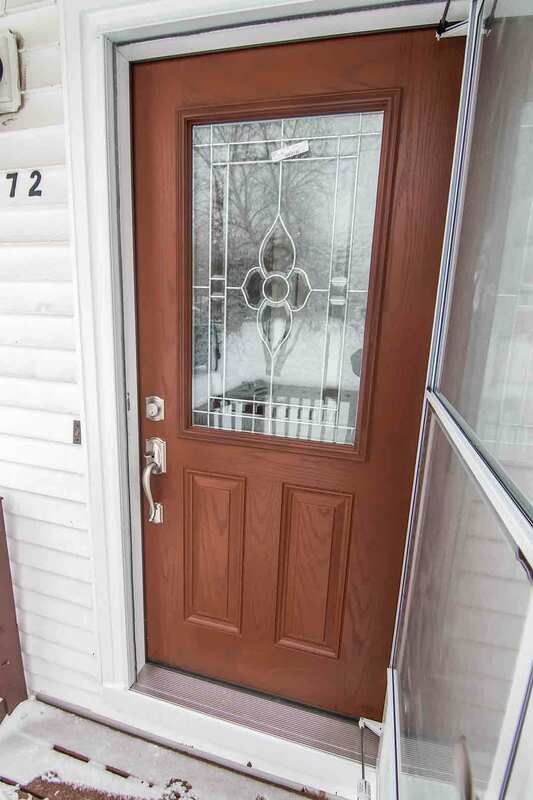 Decorative glass options add a classic twist to doors in St Charles. Homeowners have access to nearly limitless selections of stunning glass designs, ranging from floral to geometric. Decorative glass also enhances the home by providing natural light without sacrificing privacy. Entry door replacement can increase home value and create a stunning impression with curb appeal. UWD’s front doors can also help save energy with its polyurethane foam core. This core is designed to help regulate indoor temperature by providing an extra layer of thermal efficiency. It results in a home that’s warmer in the winter and cooler in the summer. Additional weather barriers include an adjustable threshold that blocks out wind and moisture. 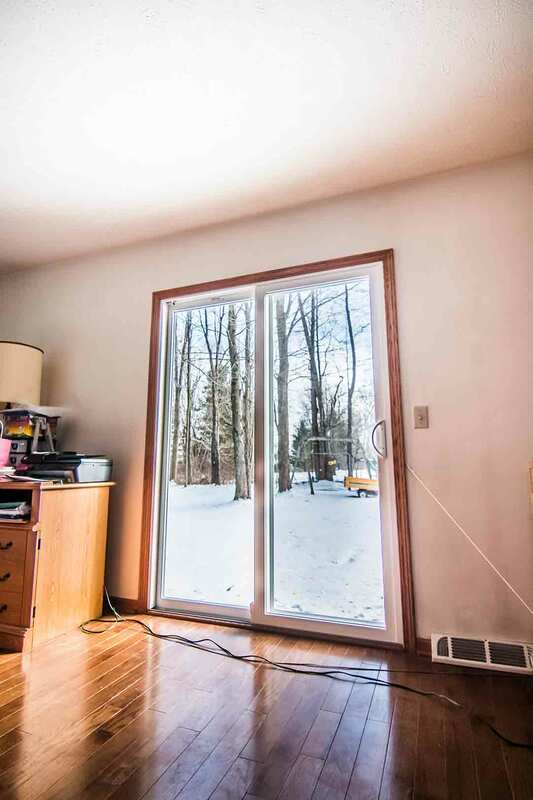 Durable weatherstripping further reduces airflow for a draft-free home for decades to come. Professional door installation is provided by UWD, which ensures top performance for both security and weatherproofing. UniShield® siding replacement is the epitome of timeless style and exceptional performance. Every panel is designed to stand the test of time with quality heavy-gauge plastic and panel thickness of up to .46”. UniShield® protects the exterior against the elements while remaining bright and beautiful through every season. UniShield® panels appear handcrafted and are molded after real oak grain. Realistic wood grain patterns give the lifelike appearance of wood siding without the need to sand, stain, or paint. 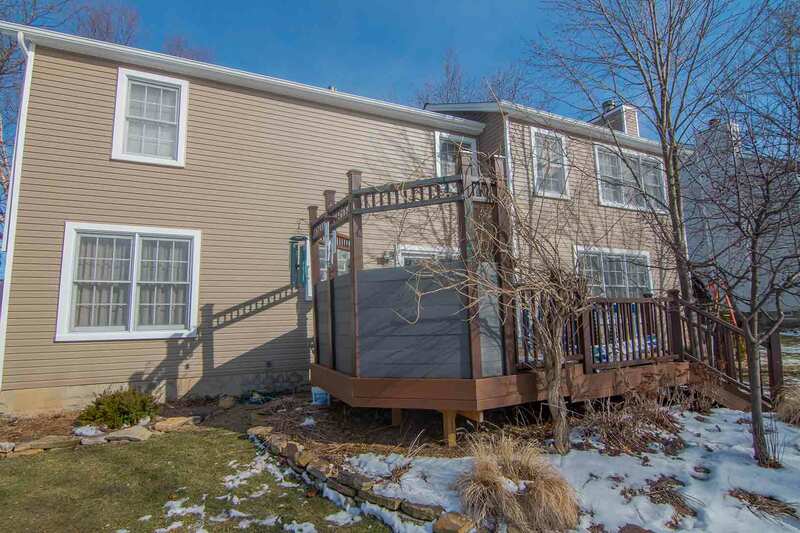 Vinyl siding installation is also resistant to peeling, chipping, and rot. 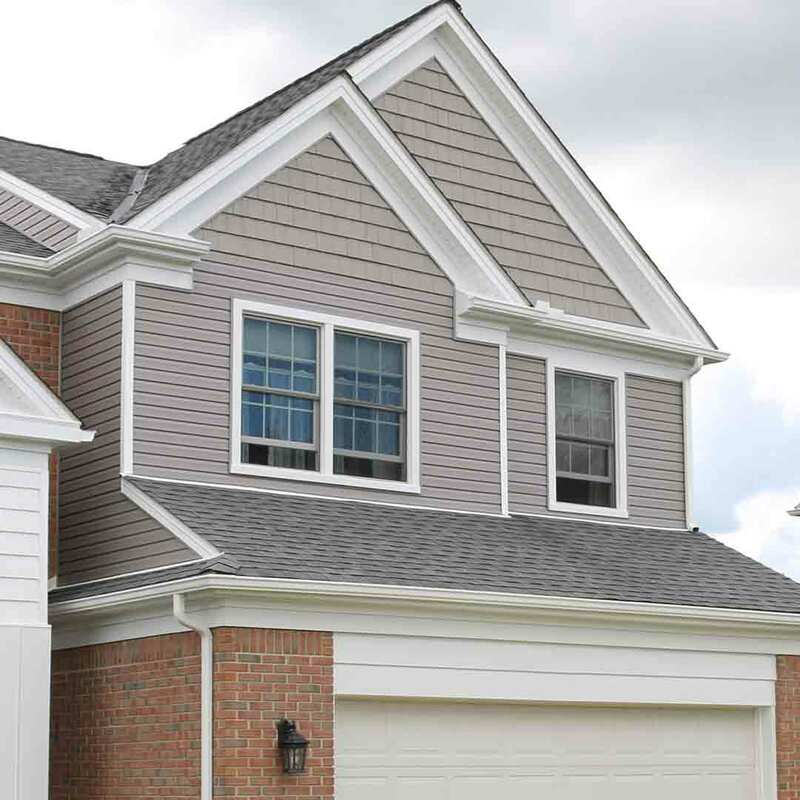 Homeowners can choose varying panel styles with the real look of wood, including 4 ½” clapboard and Dutch lap profiles. This option offers rich textures and realistic shadow lines. Varying panel lengths are also available, including XL and XXL lengths to eliminate most seams. Add extra flair to the exterior with upgrades including vinyl scallops. These scallops are inspired by Victorian-era scallops that beautifully define window gables and eave edges. 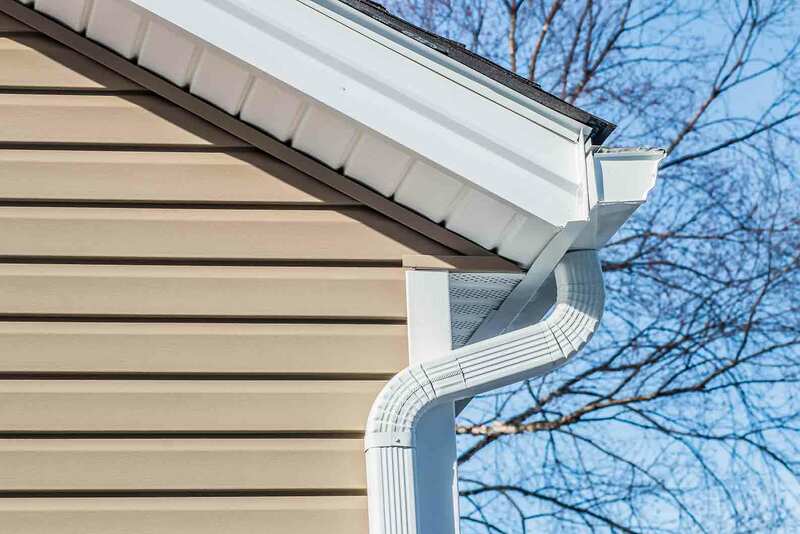 Vinyl scallops protect exposed rafter beams and vinyl cedar shakes are a stylish solution to upgrade the exterior. This exterior is professionally installed to lock out moisture and keep the home dry. 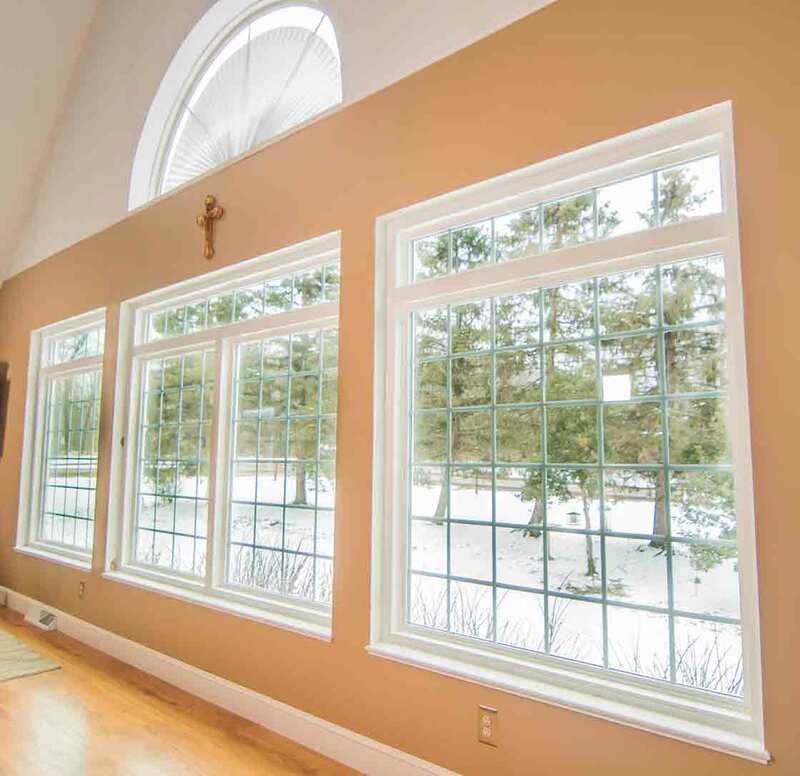 Fullback insulated underlayment keeps the home thermally insulated with year-round comfort. Fullback underlayment also provides exceptional impact resistance, which is 500% more durable than traditional underlayment. Traditional siding without Fullback underlayment is also three times more likely to become damaged. Universal Insulated Fan-Fold Housewrap helps reduce air infiltration, which keeps the home more comfortable. This housewrap provides ultimate insulation by covering the wood studs and maintaining a draft-free interior. It also reduces outdoor noise, resulting in a quieter home. UniShield® home siding is protected under the True Lifetime warranty for pieces, craftsmanship, and more. An additional 20-year color warranty to guarantee a vibrant exterior.